Ive always wondered when popcorn makers would figure out that people need more flavors. Jolly time wisely created Mallow Magic which was a ridiculously good, albeit messy marshmallowy microwave popcorn which you can only find online. We need more variety. We dont need 10 different butters. We need Sriracha. Vanilla. Maple bacon. 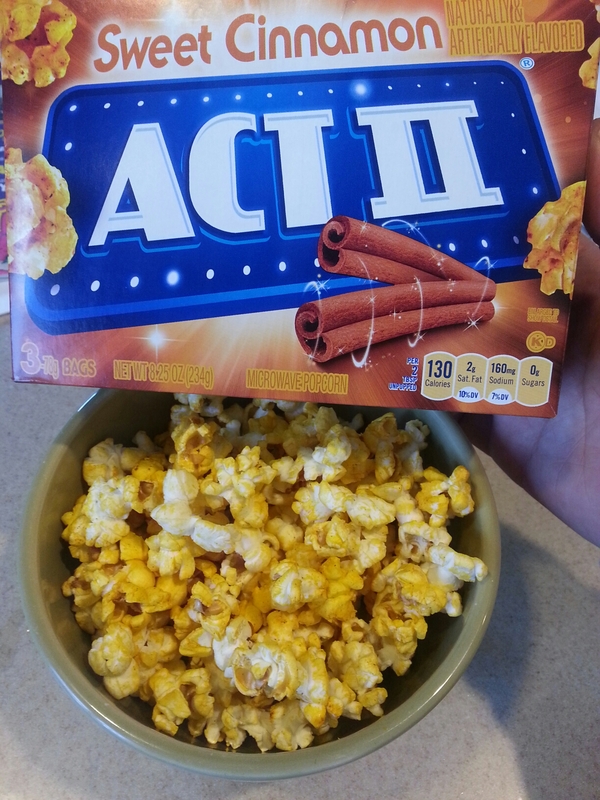 ACT II took a step in the right direction with their sweet cinnamon. Its slightly buttery but much sweeter than kettle corn, the cinnamon is sort of candyish (think candied apple cinnamon).. but very good.